Yes, you know how to use Google already, but can you run a search without getting 3 million hits? These tips will help you refine your search and access the best stuff out there. This stuff is gold. Anyone can add stuff to the web, so how do you know that it's trustworthy? Try this checklist. As you know, anyone with a computer can publish on the web. So how do you know whether you can trust information online? Is it credible? Here’s three quick things to look for. Author. Who wrote it? Did a real person sign the article? Is there an organization? If you can’t find an author? Bad sign, but check everything else too. Credentials. Look for an “about us” link and check for credentials. Is the author qualified to write about this topic? Does the organization have a strong reputation? (For instance, the CBC, Government of Canada, or National Geographic) Is there contact information? This helps you know they’re legit. Currency. Is the information up to date? Look for a date on the article and an “updated” date somewhere at the bottom of the page. This can tell you currency of information as well as whether anyone cares enough about the page enough to keep it up to date. Check links. Are any of them broken? Bad sign. No one cares to maintain the page. The information could be out of date. References. Are factual claims backed up? Look for references to other works, a works cited or a bibliography. Mechanics. It you finds tons of misspelled words, bad grammar—bad sign. Advertising. Basically, are they trying to sell you something? Literally, is the page cluttered with ads and pop-ups? Bias. More generally, what’s the author’s motivation? Check for bias. Does the information seem fair, balanced, objective and purely informative? Or is the author trying to persuade you of something? For instance, you might not get unbiased information about mad cow disease from the Alberta Beef Association. .NET could be anything. Check it out. This is a handy list of keyboard shortcuts--basically, ways to do things faster on the computer. There's instructions for both Mac and PC. 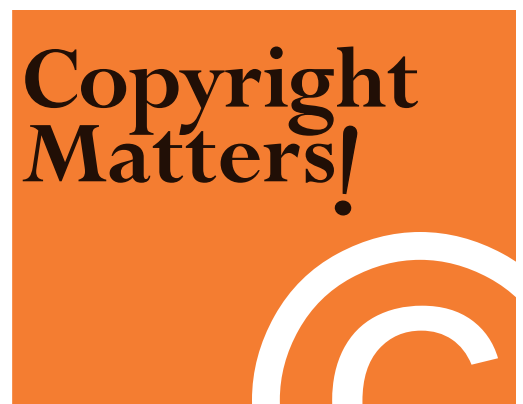 Is it legal for students or teachers to print, change, or perform copyrighted material? What are the rules & limits?